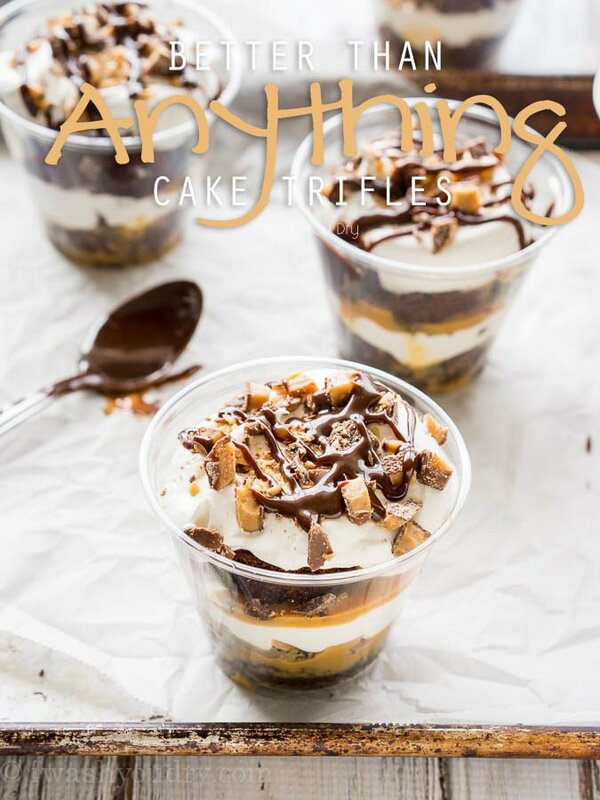 These Better Than Anything Cake Trifles are an ultra decadent dessert made to feed a crowd, or just a few hungry people. A couple weeks ago I was asked to make a dessert for a church function. My parameters were that it needs to be somewhat fancy, feed 90 people and be less than $40 total. I set out to find the perfect dessert. 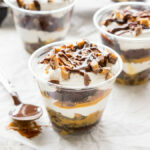 I asked some friends and they gave me the idea of doing a trifle in mini clear plastic cups. Fancy, yet totally budget saving. 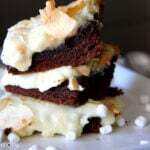 I purchased a few chocolate cake mixes, but doctored them up with extra cocoa powder to make them a little richer, and switched out some of the oil for sour cream to keep the cake light and fluffy. 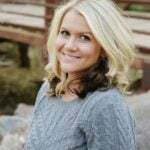 I cooked them in my 15″x10″x1″ baking sheets and they turned out amazing! I let them cool and then used a circular cookie cutter that was roughly the shape of my cups, and cup out two circles per cup. I had some cake scraps leftover so I just used those scraps to make a few more trifles so I could share this dessert with you! The first layer is cake, followed by a sweetened condensed milk/caramel mixture, a teaspoon of crushed Heath Toffee Bits, followed by a dollop of Cool Whip. Next is another layer of cake, followed by more of the sweetened condensed milk/caramel and another layer of Cool Whip. 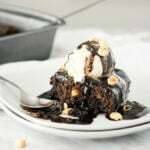 I sprinkled a little more Heath Toffee Bits on top and then drizzled each on with some hot fudge sauce. Not one cup was left at the end of the night. Everyone licked their cups and spoons clean. They were phenomenal. 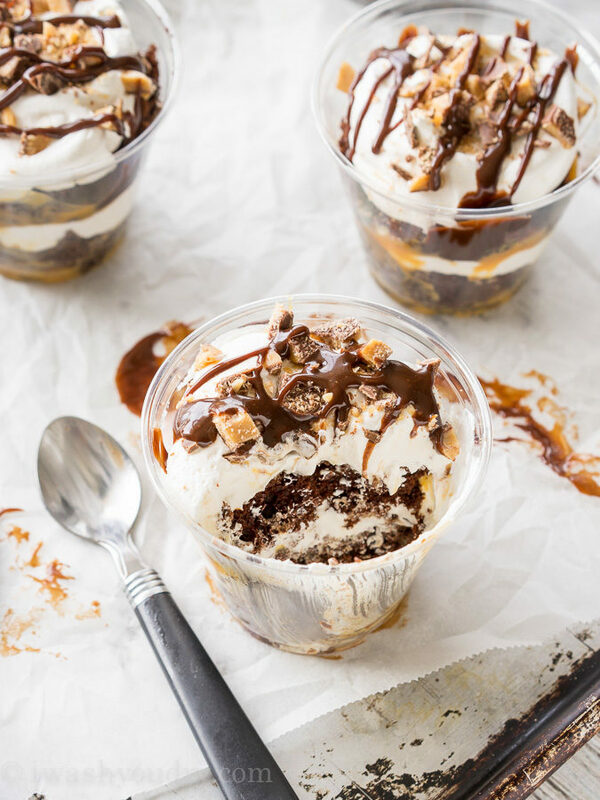 Whether you go the mini trifle route or make one big one, these trifles are sure to impress! Preheat oven to 350 degrees F. Lightly grease two 15x10x1 baking sheets with baking spray and set aside. Prepare one cake mix at a time. Combine one cake mix, 3 eggs, 1 cup water, 2 tbsp vegetable oil, 2 tbsp cocoa powder and 1/2 cup sour cream in a large bowl and mix on low speed for 30 seconds. Increase speed and mix until fully combined, scraping down sides of bowl if needed. Pour cake batter into baking sheet, spread to an even layer and bake for 18 to 20 minutes or until toothpick inserted in center comes out clean. Let cool completely. Repeat with other cake mix. Use a circular cookie cuter to cut the shapes needed to fill your plastic cups or trifle dish. Cut 2 circles per cup. Place one circle in the bottom of the cup. 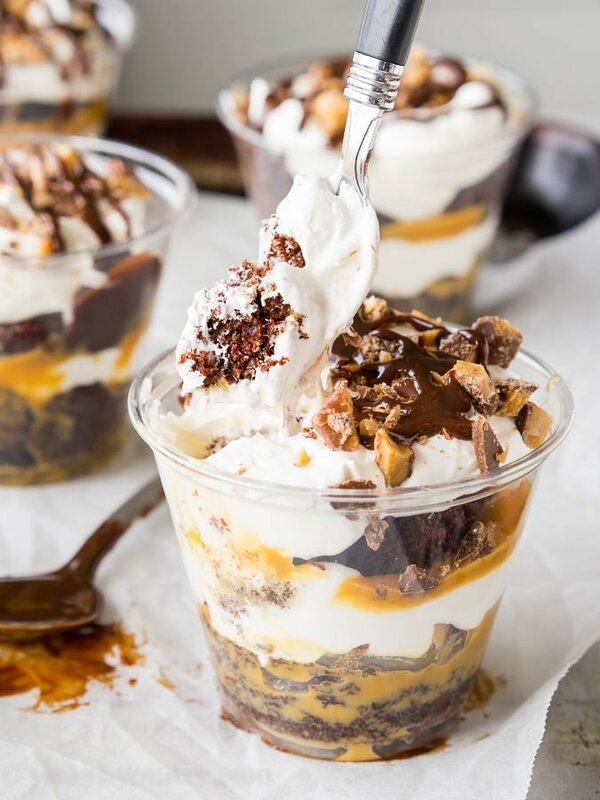 Combine the sweetened condensed milk and caramel sauce in a large bowl and spoon one tablespoon over the top of the bottom layer, or if making one large truffle, use half of the mixture. 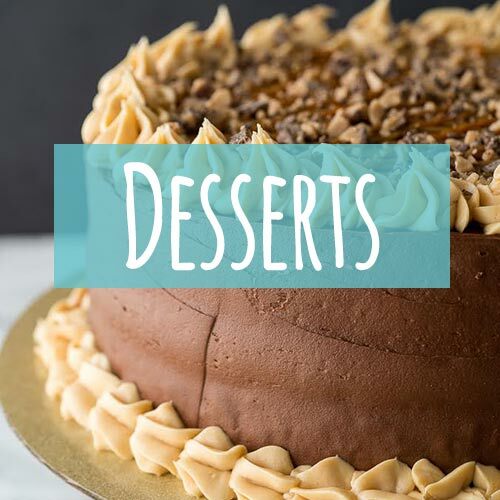 Sprinkle 1 tsp of toffee bits on top of the coated cake and then top with a layer of Cool Whip, followed by another layer of cake, caramel mixture and more Cool Whip. 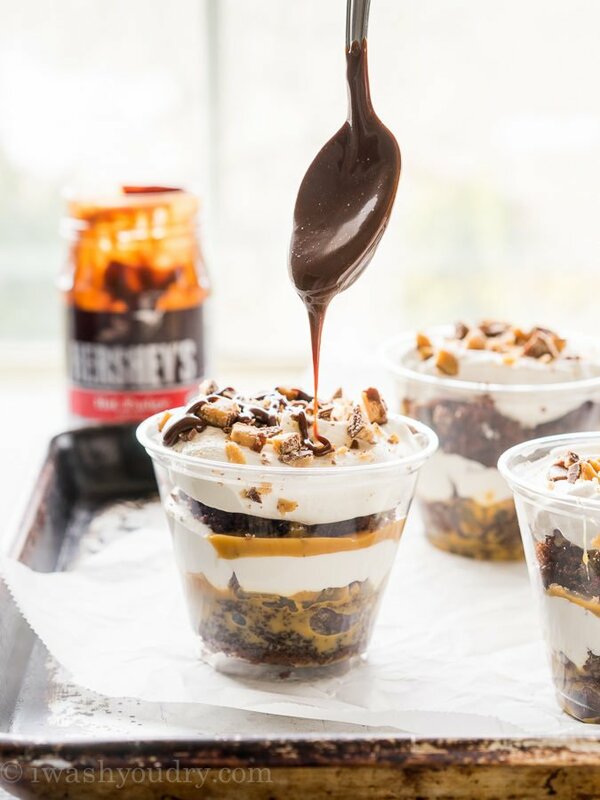 Top each trifle with more toffee bits and then drizzle with the hot fudge sauce. Refrigerate until ready to serve. Enjoy! If you prefer to make one large trifle, you could probably get away with just baking one cake mix and making it into two 8″ rounds. Could these be made a day ahead? Thanks! What size cup did you use? Good gravy this looks like heaven in a cup. I am in love! 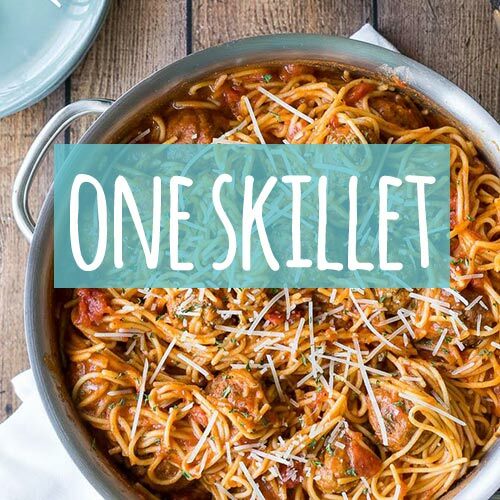 Can these be made ahead of time and, if so, how far in advance would you recommend? You could make them up to 24 hours in advance. 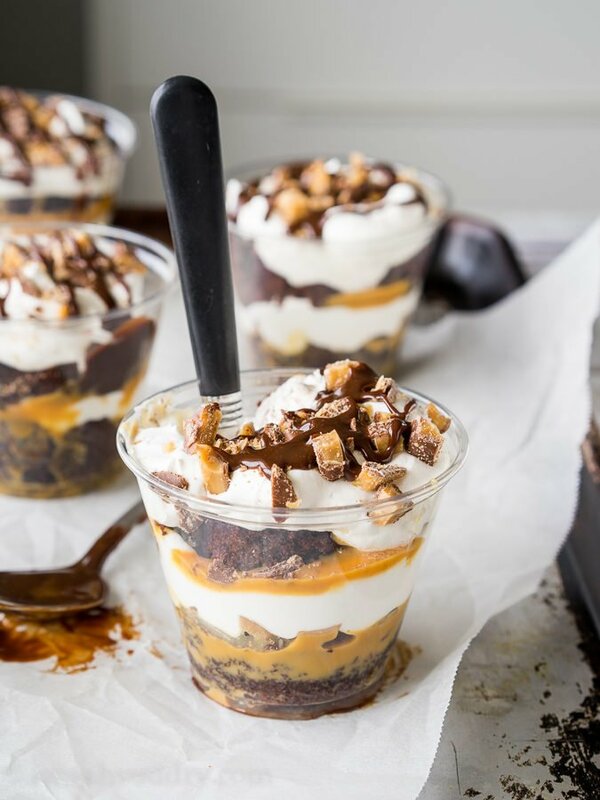 I love the whole dessert-in-a-cup thing, great idea! And they look sooooo yummy! 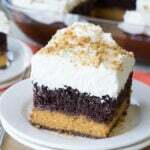 I want to make these but for 8 people, suggestions? These are so awesome for a crowd! 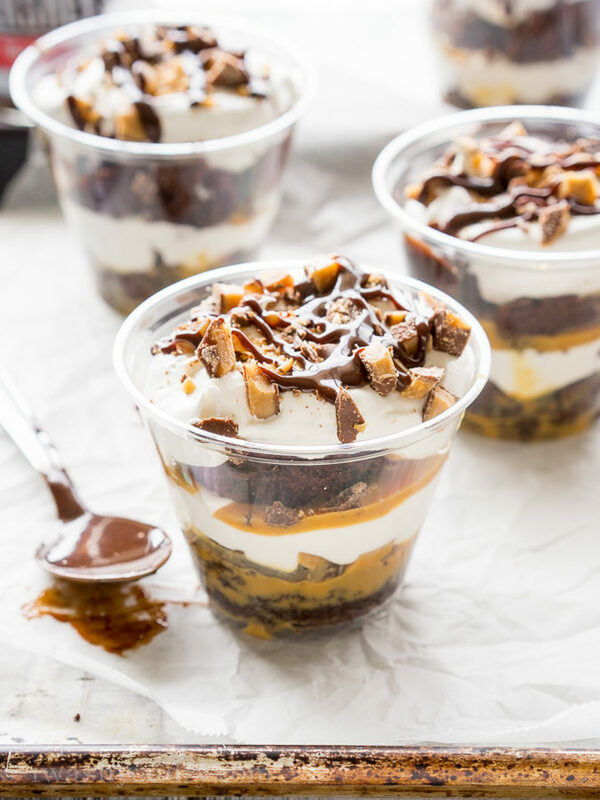 I hosted a varsity lacrosse team dinner and made these for dessert – I made 2 for each boy and should have made 4 for each – they literally gobbled them down and wanted more … sooooo good!! !